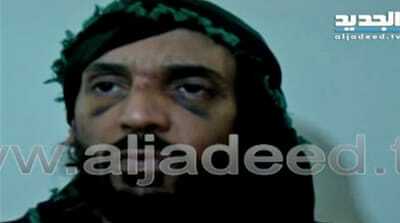 Hannibal Gaddafi was briefly kidnapped by armed group demanding information about missing Shia imam. The son of Libya's late leader Muammar Gaddafi has been freed after being briefly kidnapped by an armed group in Lebanon, security sources say. The group demanded information about the fate of a Shia imam who went missing in Libya decades ago. Hannibal Gaddafi appeared in a video aired late on Friday on local Al Jadeed TV saying anyone who has information about Imam Moussa al-Sadr should come forward. "I'm in good health, I'm fine, comfortable and no one should worry about me. I am with people who fear God and have a cause, and they are loyal to their cause. Therefore we should respect them for their loyalty," Gaddafi said. "We should understand and appreciate these people who have suffered by telling the truth about what happened [to Imam Moussa al-Sadr]. The world should learn to be loyal like the supporters of Imam al-Sadr, unlike those who defected and ran away and left the imam to face his fate. "I hope that the people who I am talking about hear me and if they have evidence, would bring out immediately without delay. Because enough of this suffering, enough. Enough injustice, people here want their son [the imam]." Al Jadeed TV reported that Gaddafi was kidnapped by men associated with the Amal Movement, the largest Shia party in parliament. The Gaddafi family has long been unwelcomed in Lebanon, especially among members of the Shia Muslim community. Sadr, one of Lebanon's most prominent Shia imams in the 20th century, vanished, along with two other people, during a trip to Tripoli in 1978. Lebanon blamed the disappearance on Muammar Gaddafi. Hannibal, born in 1975, was among a group of family members - including Gaddafi's wife Safiya, son Mohammed and daughter Aisha - who escaped to neighbouring Algeria after the fall of Tripoli in 2011. In 2008, he and his Lebanese wife, Aline Skaf, sparked a diplomatic incident with Switzerland when they were arrested in a luxury Geneva hotel for assaulting two former servants. The Libyan regime demanded that no charges be brought and an apology be made over the allegations that he had assaulted the pair, a Tunisian and a Moroccan. The case was dropped.